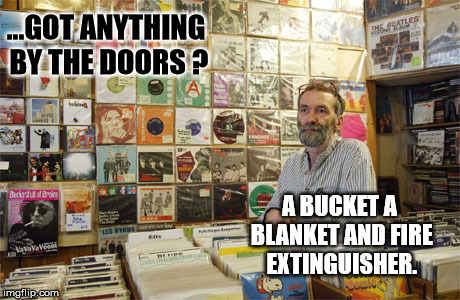 The Record Shop Guy ! ...GOT ANYTHING BY THE DOORS ? A BUCKET A BLANKET AND FIRE EXTINGUISHER.